Why is Kerrie Davies obsessed with feet? And what does this have to do with assessing heart failure? 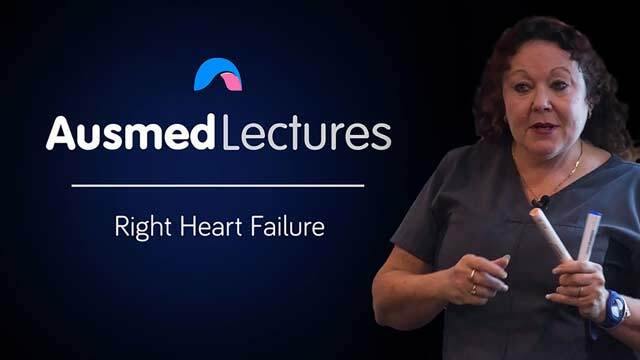 This animated and practical talk will help you to understand the pathophysiology behind heart failure, and fill you with confidence in assessing your patient's cardiac function. Kerrie Davies has extensive nursing experience within the critical care arena, including 24 years in education. She has been a clinical educator of intensive care, coronary care and emergency care as well as working as a Graduate Coordinator and Education Manager. Kerrie has a Critical Care certificate, a Graduate Diploma in Education, a Certificate IV in Workplace Training, a Certificate IV in Advanced Cardiac Technology and a Certificate in Diabetes Education. She has a passion for cardiology and teaching ECG interpretation. She currently works in the Emergency Department of Maroondah Hospital as Clinical Nurse Educator.